A sad sad week. We lost Sean Spicer from the White House, another Greens Senator from the Senate and one Canadian fisherman farewelled his innocence, to a roving pack of randy seals. Oh, the week that was. Everything old is new again. Pauline Hanson, the Cold War and someone hitting the law where they don’t like it – in the stomach. 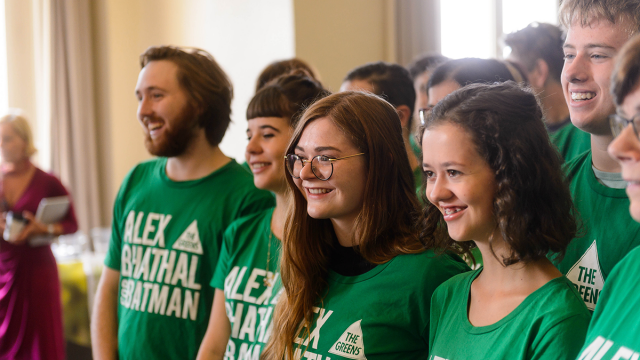 We saw minor parties and independents place higher than ever before…but where do kinda-almost-but-not-quite-third-party, The Greens, stand, as the noise of 2016’s federal election finally quietens? Rob Idol reckons the Greens, with their new leader Richard Di Natale, may hold the key to solving some of our grey political issues.